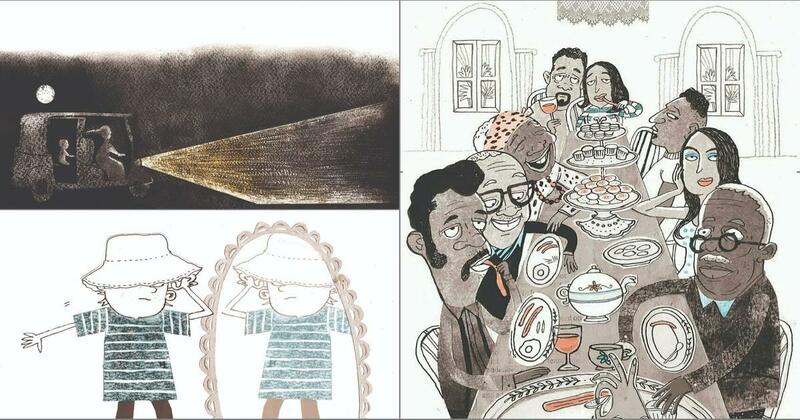 Padmini Mongia’s ‘Baby Looking Out and Other Stories’ brings children and adults together. Baby Looking Out and Other Stories, a collection of nine lucidly-written short stories for children by Padmini Mongia, is full of magic and imagination; unconventional nomenclature (siblings called Fair Unfair, Neither) and talking animals who communicate with each other as well as the humans cohabiting with them, without any attendant barriers of language, culture, gender, race, or religion. Mongia’s first book for children, Pchak! Pchak! was published in 2008. 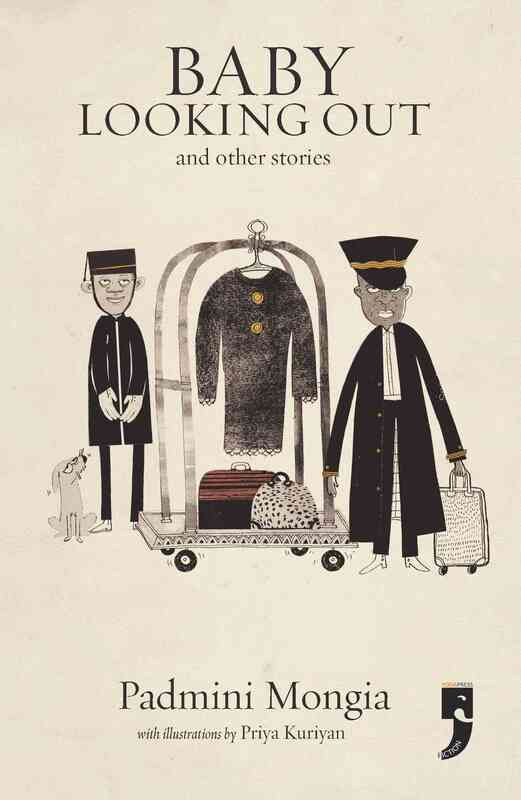 In her second book, each story is accompanied by a harvest of beautiful illustrations by artist Priya Kuriyan that complement the characters, narrative and action within it. The stories in this collection are largely formed by short sentences and information-packed paragraphs, primarily in a stable, linear tone but interspersed with mellifluous prose and lyrical descriptions. 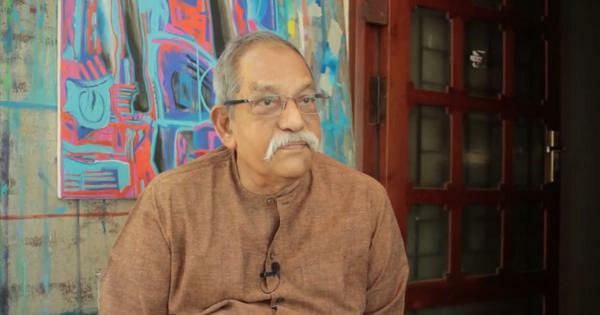 The setting of some stories, though not all, is a real geographical location in Delhi – Defence Colony, in the house that the author’s parents had built. The rest have been set, among other places, in a remote fishing village in Kerala, and at the edge of a small Texan town in the US. The first, eponymous short story is narrated from the perspective of an infant who is not old enough to walk on his own. The baby “looks out” from his mother’s arm and observes every detail in his immediate habitat in a manner that often eludes adults, owing to their lack of attention. His parents, quite oblivious to the spectacle being consumed avidly by their child, albeit much of it passively, continue to act out an unselfconscious social dynamic both indoors, in the presence of their extended family, and outside in the public sphere. At one point, Mama says, “[M]y mother always said, ‘No matter what you see there is always much more that you don’t see.’” This sentence really forms the thematic linchpin of the story – the duality of perception – of what the literal words or actions of adults signify and the latent meaning apparent only to the observer who considers every episode in light of the larger social picture. The story also examines how we are shaped by the sensory events we experience as children and by the sights we are privy to in various spaces that adults are compelled to inhabit. The next time you spot a baby in somebody’s arms, staring straight ahead with a deadpan expression, or even looking dreamily into the distance, you might remember this story and try to envision the myriad sights it has beheld that has led to the countenance it carries at this moment. In “The Kachhua and the Daddu”, the author teases out themes of friendship and involvement embedded in the collective memory of a community of city-dwellers. The plot is constructed on the thematic underpinning of kinship, community living, and the act of sharing narratives that also function as oral histories. Across several stories in the volume, material objects come to be imbued with symbolic meaning. Carrying a walking stick lends confidence to male figures of authority. A dapper young Daddu (in “Mannoo the Monkey and His Hat”) carries his stick through Lodhi gardens; later on, Guru’s father takes his walking stick on their expedition to locate a mysterious elf, for no practical reason except that it made him feel “very very good” – the stick becomes a symbol of his newfound optimism. The shades of socks worn by the various characters come to play a role as the marker of that character’s mood. In “The Red Shoe”, Guru is embarrassed by his plain grey socks at the marketplace as he takes off his shoes to put on the one red shoe his mother has bought him from the elf. On the day of the expedition, one full of promise in Guru’s mind, he wears one white sock and one red sock, a decision that comes to embody the optimism and energy he feels. In “Fair and Unfair”, the identical twins who derive pleasure by confusing people about their respective identities, wear socks that are “always a bright white”, the same colour aiding them ably in their mission of mischief. “Joey and his Mood” approaches the important question of children’s mental health with sensitivity and sophistication. The pagdi, as the eventual headgear of Joey’s choosing, becomes a symbol of his Indian identity while the hat, his previous preference, remains indexical of his western origins. Certain binaries that are in place at the beginning of the story – good mood/bad mood, hat/padgi – are collapsed at the end where Joey too no longer seems torn between his allegiances, cultural or emotional. In “The Bat and His Kite”, we witness the psychological development of a young bat named Chipko as he travels through several stages of learning: learning to fly, learning to fall, learning to be taught and scolded by his mother. He is renamed by his peers, teaches himself how to fly a kite (as well as with it) by observing human beings doing the same, and learns to share a found resource with his friends in the bat colony. His trials and final psychological maturation lead to a happy conclusion for everyone. In “Miss Hadd”, the last story, magic is both a cognitive concept and a narrative feature of the story. The protagonist is as feared by adults as she is both feared and loved by the children. Rigid constructions of gender disintegrate within the worlds of these stories. Despite being a woman of colour, she yields an authority over the residents of her town that is unparalleled by anyone else in the vicinity. “Children’s fiction belongs firmly within the domain of cultural practices which exist for the purpose of socialising their target audience,” argue John Stephens and Robyn McCallum in Retelling Stories, Framing Culture. Baby Looking Out is a book of children’s fiction that assumes neither a patronising tone nor a moralistic approach, but manages to treat themes like romantic abandonment (in “Soman and the Toot”) and racial apartheid (in “Miss Hadd”) with a sensitivity that prevents them from being inappropriate subjects for children’s fiction, while also retaining the darkness of painful adult situations that arise often and in different cultural and geographical contexts in life. Baby Looking Out and Other Stories, Padmini Mongia, Yoda Press.